Daily Current Affairs Quiz for 13th April 2018 has some of the important set of questions given here each as a set of 15 questions. These are important for the upcoming government examinations of Bank like IBPS PO, IBPS CLERK, SSC CGL and RAILWAY ALP. Each question has answer and proper explanation given against each of the questions so aspirants should go all of them in proper order. this will also help boost their knowledge and check their level of preparation. 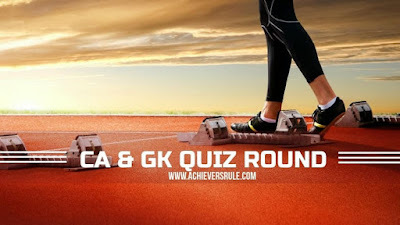 These questions have been framed based on the Daily Current Affairs Quiz and Current Affairs Updates. Q1. Which country has set up 60 digital branches across the country? The State Bank of India (SBI) has set up 60 digital branches across the country with an aim to offer advanced banking services like instant loan approvals, assistance in choosing investment portfolios and access to latest mutual funds among others. Q2. Reserve Bank of India has imposed a penalty of Rs 3 crore on which bank for non-compliance of IRAC? IDBI Bank said the Reserve Bank of India has imposed a penalty of Rs 3 crore on the bank for non-compliance to the Income Recognition and Asset Classification (IRAC) norms. Q3. What is India's rank in the annual Index of Economic Freedom report released by American think tank Heritage Foundation. Q4. A 5,000 MW capacity solar park is being set up at _____________ ? Gujarat Chief Minister Vijay Rupani today approved setting up a 5,000 MW capacity solar park at the Dholera Special Investment Region (SIR), which would be the largest such entity in the world after its completion. The UAE Cabinet has approved the issuance of legislation to ensure equal pay for men and women working in the country. Q7. NSDC and _____________ signed a MOU to provide skill training at Kudankulam in Tamil Nadu. The National Skill Development Corporation and the Nuclear Power Corporation of India Limited signed a MoU to provide skill training to 500 youth and women at Kudankulam in Tamil Nadu. Virat Kohli and Mithali Raj voted world’s leading cricketers in Wisden ’s Five Cricketers of the Year in a landmark move by the sport’s ‘bible’. Q11. Where is SBI headquarter located? The headquarter of SBI is situated in Mumbai.